Cochon BYOB was one of those restaurants I long wanted to get to, but for some reason (likely location, being off my beaten path) I never did. Until now. I was really happy to finally get to try their delicious and hearty French food preparations with a strong emphasis on pork. 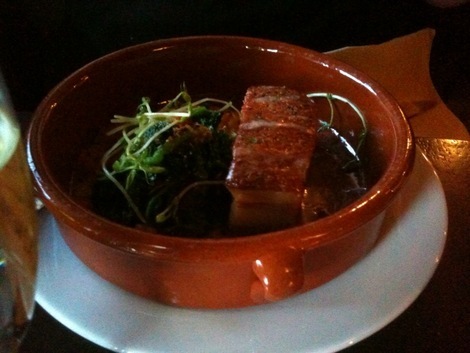 With seasonal preparations and reasonable prices, Cochon is definitely a restaurant I want to return to in the future. I love Philadelphia’s BYOBs in general and it’s nice to find one that isn’t just another Italian food joint. A popular BYOB establishment in Philadelphia since 2007, the author finally has the chance to check it out – and rues having waited so long.